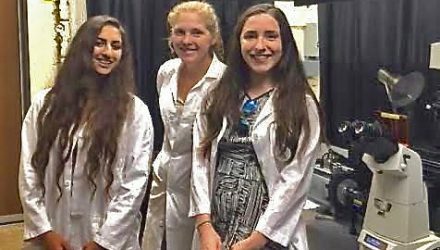 As part of Smith’s Summer Research Fellowship program, Amalia Driller-Colangelo ’18, Jessica Morgan ’17 and Sahar Aftab ’18 are working with Nathan Derr, assistant professor of biological sciences, using a new microscope to study the behavior of molecular motor proteins. 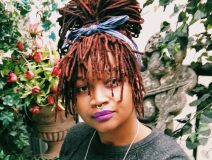 Since starting her blog, Black Contemporary Art, in 2011, Kimberly Drew ’12 has amassed a huge following. Now she's taken on the prestigious role of social media manager for the Met. 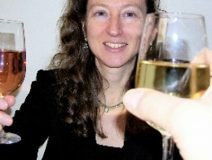 She tells The New Yorker, "I built the blog as a critique of the art world. Now it has a seat in that world." In the latest issue of Food & Wine: Whether your tastes run to cozy cottages or grand chateaus, beaches or hill towns, long lunches or languid dinners, the south of France delivers. Writer Jane Sigal ’80 takes you on the ultimate tour of Provence, including a stop at Julia Child ’34's cottage. 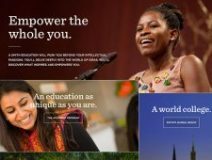 The new smith.edu made its debut on August 1. The redesigned site, which was guided by research into user habits, needs and expectations, features a new global navigation system, easier access to a range of content, and a design that is optimized for visitors using mobile devices. Nineteen Smith students were offered Fulbright Fellowships this year, continuing the college’s strong success rate in the prestigious annual fellowship competition. Students will be studying and conducting research around the world, from Germany to Sri Lanka and Taiwan to Bulgaria. Research by Andrew Zimbalist, Robert A. Woods Professor of Economics, is cited in The New York Times Magazine’s coverage of the Olympic games in Rio. Zimbalist's work debunks the myth that there are long-term financial benefits for the Olympics host city. A study by Associate Professor of Geosciences Sara Pruss about unusual fossils in the Earth’s early geologic record was published last month in Geology. Pruss says the research is an example of what can happen when lab experiments are used to shed light on the Earth's past.